Eric Vishria, who was co-founder and CEO of social browsing startup Rockmelt, is joining early Twitter and Uber backer Benchmark. In doing so, he will be joining Matt Cohler, Peter Fenton, Bill Gurley, and Mitch Lasky as the fifth member of the firm’s equal partnership. With Vishria, it looks like it’s succeeded. He brings with him a background in both the consumer and enterprise worlds, having founded consumer-facing social browsing startup Rockmelt, while also being an important member of Ben Horowitz’s enterprise companies Loudcloud and Opsware. 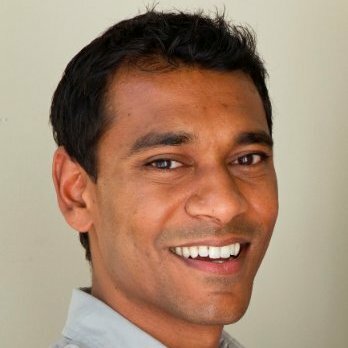 Vishria founded Rockmelt in 2008 as an alternative to the browsers available at the time, and one specifically focused on highlighting interactions on social networks like Facebook. Later it shut the browser down and pivoted to becoming more of a content aggregator for personalized news feeds based on what people are sharing in your social network. Rockmelt was acquired by Yahoo last August, and since then Vishria has served as VP of product management on a number of products, including Y! News, Weather, Entertainment, Home, Autos, and Travel. Before Rockmelt, he was an early employee at Loudcloud, and became VP of marketing for Opsware at age 26. When Opsware was acquired by HP in 2007, Vishria was named VP of Products, Software, Technology Solutions Group in HP Software. Vishria will be joining a partnership that has one of the best track records among VC firms today, having invested in companies that include Twitter, Instagram, OpenTable, Uber, Zendesk, and Nextdoor. Since being founded in 1995, it’s had 40 IPOs and more than 90 M&A exits. Amazingly, 29 of those exits took place since the beginning of 2011, including 12 IPOs and 17 acquisitions. Surprisingly, Benchmark has had all of that success with a very small team. The firm has four partners now, and it’s rare that it adds a new one — the last partner to join was Matt Cohler, and that addition happened six years ago. “The reason it’s been six years is that we have a very high bar in terms of identifying someone who can develop into a world-class venture capitalist,” Benchmark partner Bill Gurley told me in a phone interview this morning. Part of the reason that’s so important is that Benchmark has a structure in which each of the partners share in the success of the fund equally. According to Gurley, Benchmark’s structure eliminates some of the issues firms have where senior partners take home the bulk of the economics, and the problems associated with everyone negotiating for their piece of the upside. But it also means that partners are incentivized to work together on all of the firm’s portfolio companies, even if they aren’t on the board. For Vishria, that was one of the selling points. “The benefit is that every partner is equally incented to work with each company… Any entrepreneur can get the benefit of any of the partners,” he told me. He’ll be called on for his expertise soon enough, as Gurley says he’s looking forward to having Vishria help a couple of enterprise portfolio companies.